A Liberal MP in Ontario says she's concerned by allegations that Kenney, while an MP, claimed subsidies he wasn't entitled to, and she wants Ottawa to look into it. A Liberal MP in Ontario has formally requested an investigation into Jason Kenney's secondary residence expenses while he was an MP. Recent allegations against the United Conservative Party leader have raised questions about whether he made a false housing claim and collected undeserved subsidies. Kenney disputes those accusations. Jennifer O'Connell, MP for Pickering-Uxbridge and parliamentary secretary to the minister of finance, laid out her concerns in a letter she penned to the Speaker of the House of Commons in his capacity as the Chair of the Board of Internal Economy — the body that governs the financial and administrative matters of the House. "The allegation that Mr. Kenney declared his primary residence to be the basement of his mother's home at an assisted living facility in Calgary, Alberta, and that Mr. Kenney was very rarely travelling to Calgary from his home in Ottawa raises grave concerns about whether Mr. Kenney's arrangement breached the rules," she wrote. The UCP leader was accused of claiming his primary residence was in Calgary while living in and collecting secondary residence subsidies in Ottawa. "The secondary residence allowance exists so that Members of Parliament can both fulfill their Parliamentary responsibilities as legislators in the House of Commons, and remain present in their constituencies to help and support the Canadians they represent. However, it is important that this allowance be used fairly and properly," O'Connell's letter goes on. House of Commons expenditure reports show Kenney collected secondary residence subsidies in Ottawa between 2012-15 of about $10,000 each year as an MP for Calgary Midnapore. Kenney has said he would welcome an investigation into his spending. "I was fully compliant with all the rules. That was confirmed for me by my pay and benefits advisor with House of Commons administration," he said. "I'm absolutely certain they'll find there is nothing inappropriate." He wrote on Facebook that the accusation comes from a Liberal government that would prefer to see the NDP rather than the UCP win the next election. O'Connell said she's concerned by claims that Kenney was not actually living at the retirement home, though he was receiving money for having a second residence in Ottawa. "If you're not living where you say you live, then you wouldn't be entitled to those things," she said. "I think it's just best to have an independent investigation go through and verify the facts." Lawyer and political activist Kyle Morrow, who once ran for the Alberta Liberals in 2012, also requested an investigation, after first raising the allegation against Kenney on social media. He said he's faced harassment and a death threat since making the accusation. The Board of Internal Economy told CBC News it does not comment on matters concerning individual MPs, current or former. When a request for an investigation is received, the board reviews matters as required, it said. 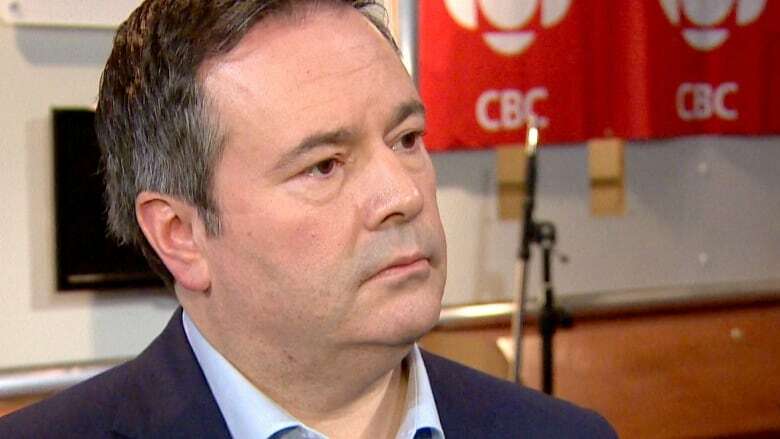 Political scientist Lori Williams has told CBC News that, while it doesn't look like Kenney technically took advantage of taxpayers, the optics of the situation could cause problems heading into the upcoming spring election. The NDP have also raised concerns about a 2016 political contribution Kenney made to the Ontario PCs, saying it broke the province's election rules and shows he was an Ontario resident. The UCP said the donation was actually an event registration fee Kenney paid as a non-voting delegate. But, the situation raised red flags for at least one concerned Albertan. Thomas Deak, an Edmonton business consultant who says he has no political affiliations, sent CBC News copies of complaints he has filed with both the Canada Revenue Agency and Elections Ontario requesting investigation. Alberta Premier Rachel Notley took a jab at the allegation during a speech to Edmonton's Chamber of Commerce on Thursday. "I don't think we Edmontonians say it enough, but we all know it to be true — we are so lucky to live here. In fact, it's my primary residence," she said, to laughs and some gasps from the crowd. Notley also addressed the call for investigation in a scrum following the event. "I think that all Albertans want to know that when their public servants take advantage of taxpayer-supported benefits, they're doing it for the purposes and the principles that were behind the provision of those taxpayer benefits, [and] they're not, you know, swimming through loopholes," she said.